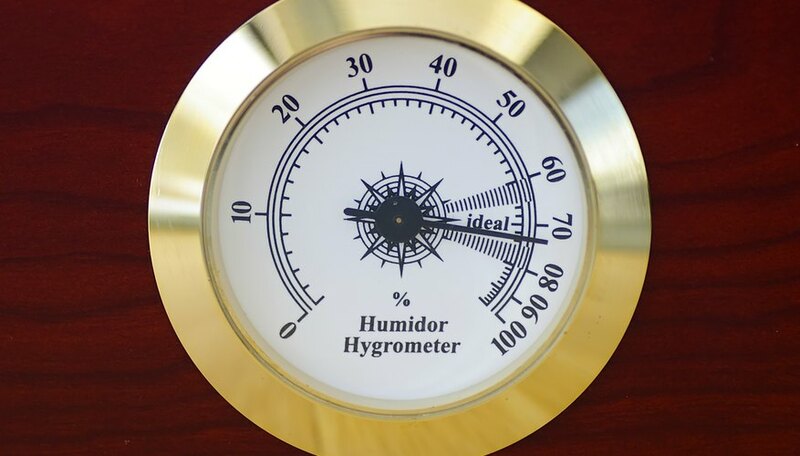 A hygrometer measures the humidity, or moisture content, of the air in terms of the relative humidity. This reading helps determine the comfort level of a given air temperature. The air feels more comfortable in both cold weather and hot weather when the humidity is low. 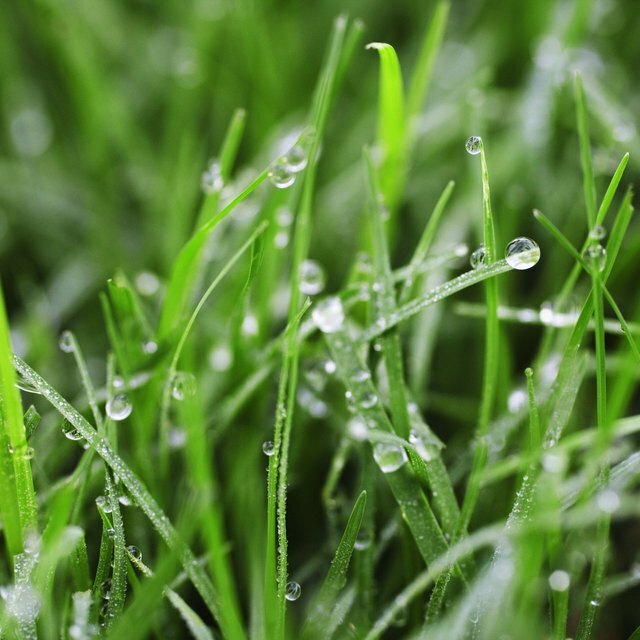 Humidity affects plant and animal life, and buildings. Also, the more humid the air is, the more likely there is to be dew, fog, clouds or rain. Relative humidity is given as a percent. This does not mean the percentage of the air that is water, which is called the absolute humidity. Hot air can hold more moisture than cold air. As air cools, moisture comes out of the air, forming tiny suspended droplets, such as in clouds or fog, or droplets on surfaces such as in dew or fogged up windows. So, at a given temperature, there is a maximum absolute humidity the air can hold. Relative humidity is the actual absolute humidity as a percentage of the maximum absolute humidity. There are four main types of hygrometer. Mechanical hygrometers use hair or other fibers that change length in response to humidity. Electronic hygrometers use materials with electrical properties that change in response to humidity. Psychrometers use two thermometers, one dry, and one wrapped in wet cloth. Evaporation from the wet cloth cools the thermometer, but the effect depends on the ambient humidity. The most accurate hygrometer is the “dew point” hygrometer. A mirror is cooled in a very controlled way until the dew point temperature is reached, and it fogs up. The relative humidity is a function of the dew point. In Reference 2 you can see that at 20 degrees Celsius (68 degrees Fahrenheit), the maximum absolute humidity ratio is 0.015, or 1.5 percent. Above that, water will condense out of the air. If the actual absolute humidity is 0.5 percent, or one-third of the maximum, then the relative humidity would be 100 percent divided by 3 or 33 percent. Balter,, Ariel. "What Does a Hygrometer Measure?" Sciencing, https://sciencing.com/what-does-hygrometer-measure-4909583.html. 24 April 2017.